Secretary/Treasurer – Nixalys Vega is the Secretary and Treasurer of the Treasure Coast Hope for the Homeless Foundation and a bilingual Licensed Mental Health Counselor in the State of Florida. She currently performs as the Children’s Program Manager at New Horizons of the Treasure Coast and Okeechobee. Nixalys has 16 years of experience working with disadvantaged children and adults. 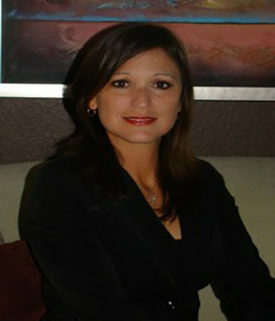 Her experience includes seven and a half years as a Program Director in child protective services for Family Preservation Services of Florida and close to four years as the Program Manager for the Children’s Home Society Transitional Living Program serving the population of homeless young adults. Nixalys holds a Master’s Degree in Mental Health Counseling and a second Master’s Degree in Criminal Justice with a Specialty in Child Protection and Juvenile Justice from Nova Southeastern University. She also founded the Social Awareness and Action Ministry (SAAM) at St. Anastasia Catholic Church to make the public aware of the social problems facing the community in St Lucie County.